I hope so – just finished replies to comments, I think I’ve done them all. Please let me know if I’ve missed anything! 15 Responses to Up to Date? Nice looking watch. I take it the crown is significant. What year is it from? Wohhaa! Ok, that is something! 😀 Would wear one, if i just could get it for reasonable price from somewhere… Seems like vintage Citizens are coming more expensive in general, that´s because of Seiko-hysteria… There are incredible increase in prices of vintage Seikos, what i have noticed in Ebay and few other places within few years. 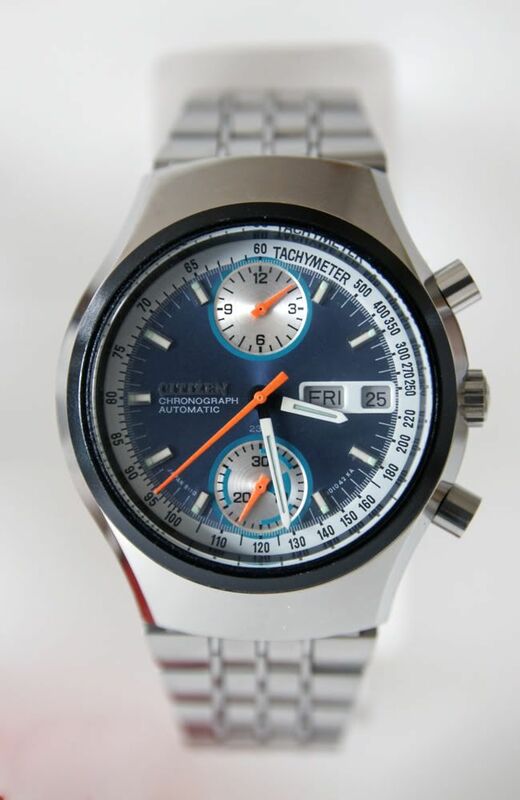 Hi Marko – you’re right that prices are rising, and although I don’t follow them these days, vintage Seiko chronograph prices do seem to have gone skyward. Hello Stephen and Happy new year! Thank you for all the informative and entertaining info. You are doing such a good job with this website. Congratulations! 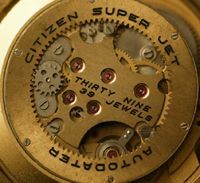 Dial seems to be from a 67-9038. The case back is from a 67-9143 but no black or gold! The case… Well I have no clue from where that is! Could you shed some light into this model? if it ever existed? Hi Aris – thanks again for your kind words 🙂 This is a ‘franken’ watch, cobbled together from several models with some after market stuff thrown in. I love the way the seller describes it’s condition as ‘mint’!! Thank you for those details for that dial! I have not examined dials from that point of wiev, i have used to check only if they are repainted or not, aftermarket dials are something new to me. And this watch is quite surpraise, can´t beleave, that there is trash like that for sale! It´s immoral to get together watch like that and sell it as “mint” ! F&/)(&%g crook… really spoiled my day… Would buy nothing from that seller, even as we don´t know who is behind the actual assemble of this crap. 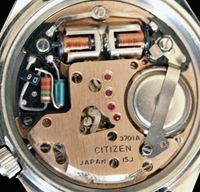 Stephen, look at the Seiko “bullhead” from the same seller, that price is ridiculous! And will raise from that to who knows what! Well, i don´t waist time to look at that closer, but who knows, could be another franken! You’re welcome Marko – whoa…the Seiko bullhead is now at UK£530!! You’ve gotta worry when the chrono hands have been painted pink…..
‘Pink Hands’ sold for UK£610! I would say good case and bracelet, after-market everything else…..but I’m no Seiko expert though 😉 Even the franken 8110 made UK£127!! Just noticed that the seller’s auctions are all ‘private’…..a seller to avoid methinks! 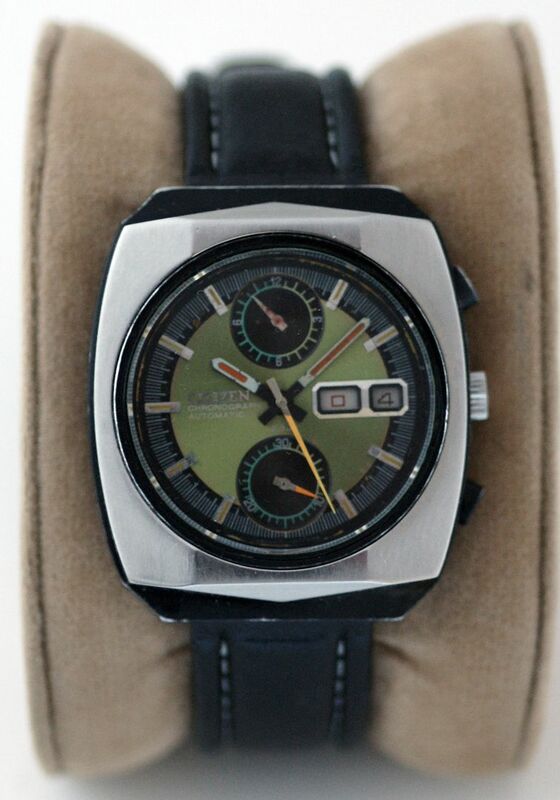 Do you have any idea when this watch might have been made, and what model line it was from? Hi Resh, thanks for visiting my blog and for your kind comments. Your watch is somewhat later than the models I am most familiar with I’m afraid. I don’t know if it is from a model line as such although the dial logo may indicate that as in the ‘blue eagle’. 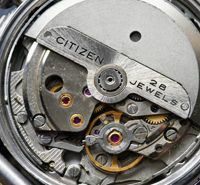 The 8200 automatic movement has been produced for over 30 years so dating them can be tricky. 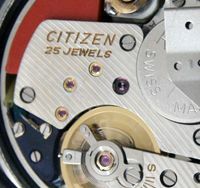 The style of the model number – 4-R14244 is indicative of a later one, as is the six figure serial number – earlier ones usually have 8 digits. So I reckon it could be from 1998. Btw, the case number is an authentic one, and GN-4W-S is the case type code, indicating it is a water resistant type with a screw down back. Thanks a million for your response! 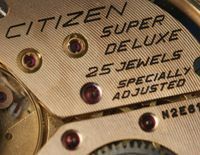 Your enthusiasm for these older watches has actually gotten me to start looking for some more obscure/older models of Citizens as well (both online and in the back rows of some local jewellers display cases).